Jason Wells was a military intelligence officer for 17 years, before going into the private sector. He is now the Asia Pacific CEO of QCC Global – the world’s largest company specialising in TSCM (Technical Surveillance Counter-Measures). 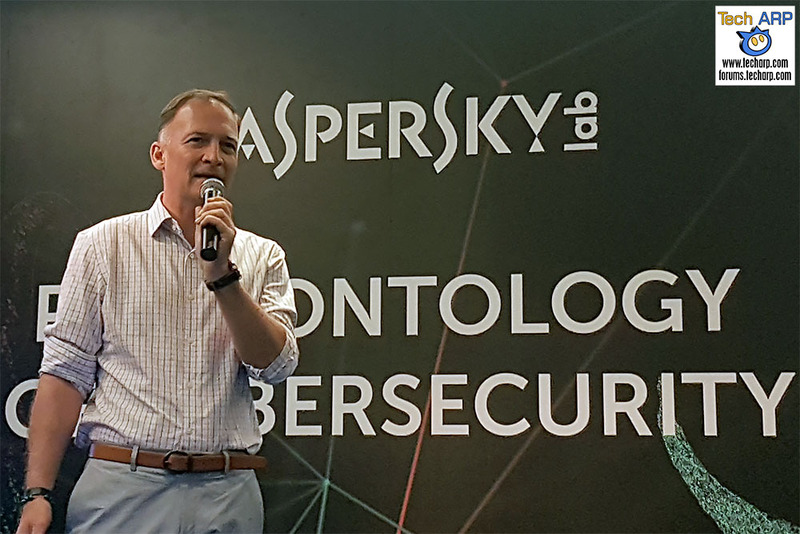 In this special presentation at the Kaspersky Lab Palaeontology of Cybersecurity Conference, he gave an overview of TSCM over the years before sharing the latest in Cyber TSCM, particularly with the upcoming 5G technology. Like other members of QCC Global, Jason Wells is literally a poacher turned gamekeeper. He now helps organisations prevent their secrets from being leaked or intercepted by technical surveillance. Physical keyloggers are still being used, because organisations ignore the risks. Miniature GSM transmitters (smaller than a one Euro coin!) are now used to wirelessly transmit data over a third-party network. Military-grade devices will use burst transmissions to avoid detection. VOIP calls are possible to tap – as long as the device or line can be accessed, all conversations can be recorded or copied. Light modulation or laser eavesdropping devices are now available to listen from a great distance. WiFi light bulbs can be modified to pick up voices and transmit it to nearby devices via subtle modulation of the light wavelength or frequency. A key concern, other than the typical eavesdropping of corporate offices, is backdoor access to Building Management Systems that are used in many modern buildings. Public WiFi access points are a common source of “man-in-the-middle” attacks, where attackers set-up free access points that mimic actual public access points. Bluetooth technology is a boon to surveillance devices because it is very low-powered. With Bluetooth Class 5, they now have a much longer range (400 m) and twice the speed, while drawing less power. Roughly 60% of the surveillance devices that QCC Global detects use cellular technology to transmit their data. The rest still use radio to transmit their data wirelessly. Cellular technology gives an attacker great flexibility in areas of good coverage because he can dispense with additional requirements like a listening post, or rebroadcasters. Using the cellular network also allows the listening device to hide amongst the many mobile devices nearby. 5G technology will be a game-changer, offering new possibilities for technical surveillance. With every 5G device always connected, they will make it much, much harder for counter surveillance companies like GCC Global to detect 5G listening devices. Next : The Taiwan Excellence Pavilion 2017 Kicks Off In 1 Utama!